Episode 4 3 of the new NBC series "Grimm" was filmed here in the South Waterfront yesterday. The story line includes a flash mob on the Streetcar, and a murder. 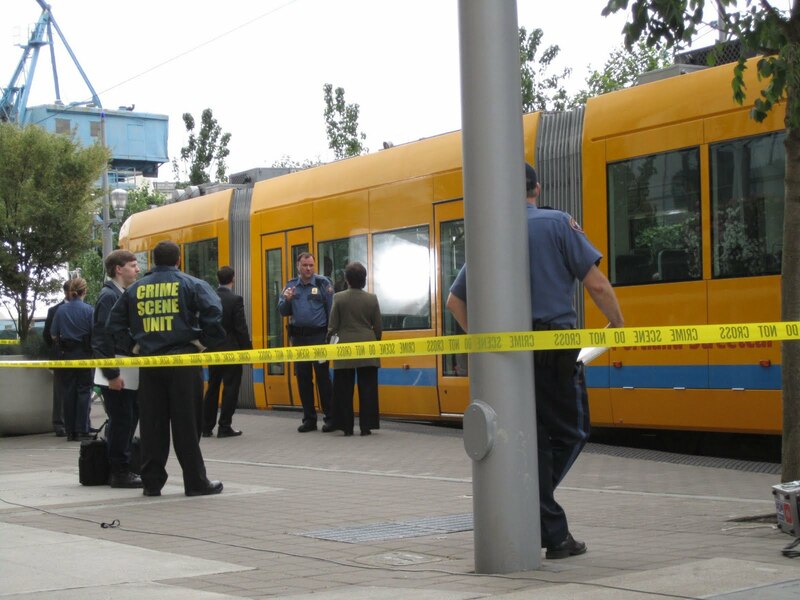 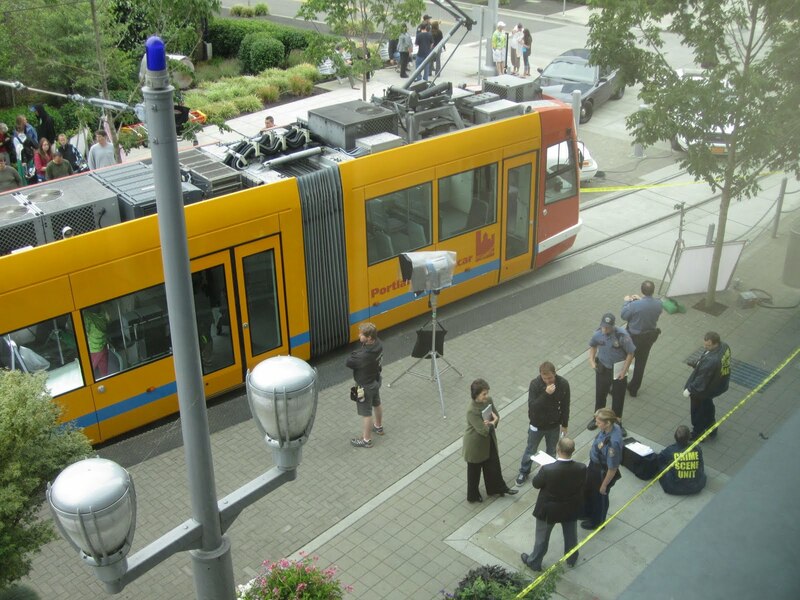 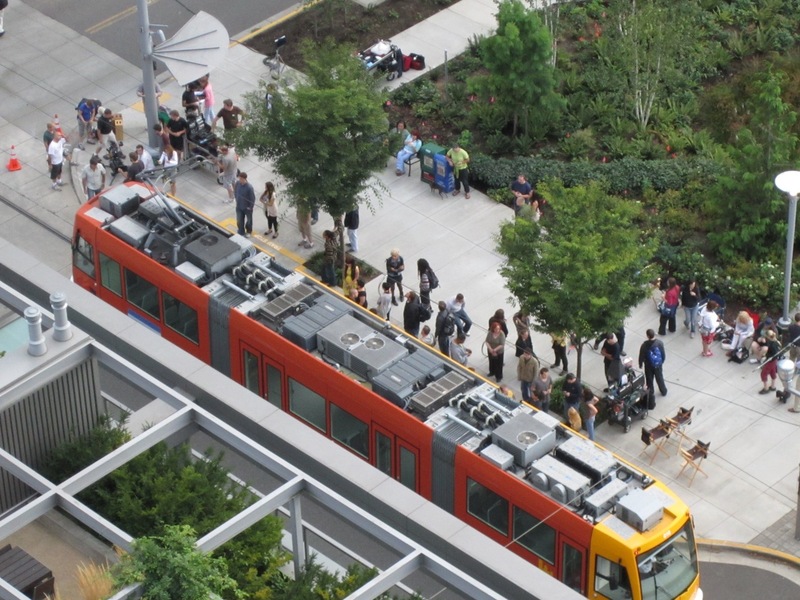 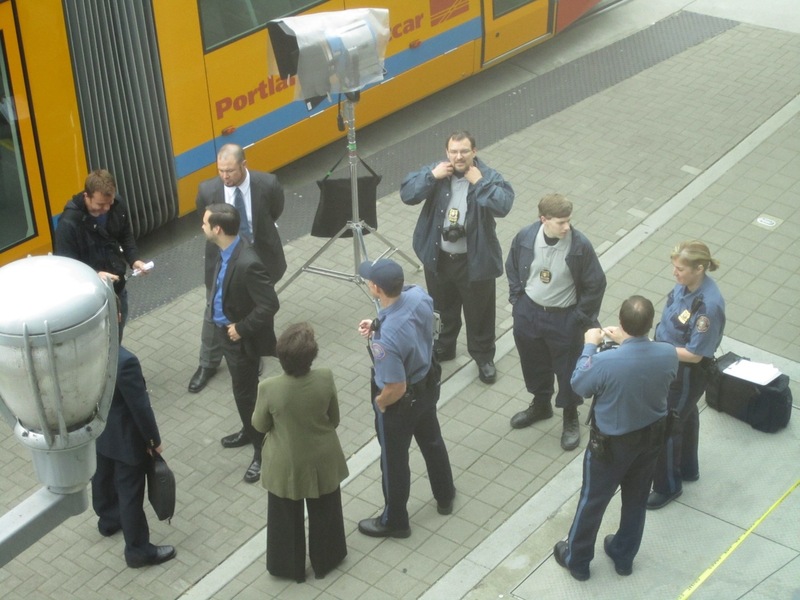 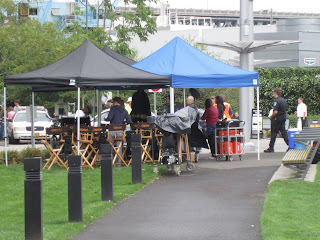 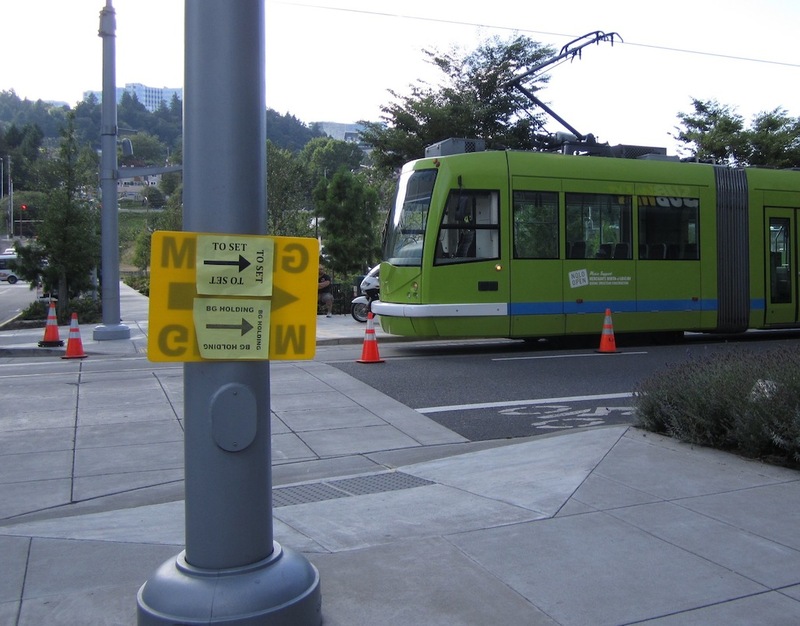 The main scene was filmed at the Streetcar stop at the OHSU CHH building. 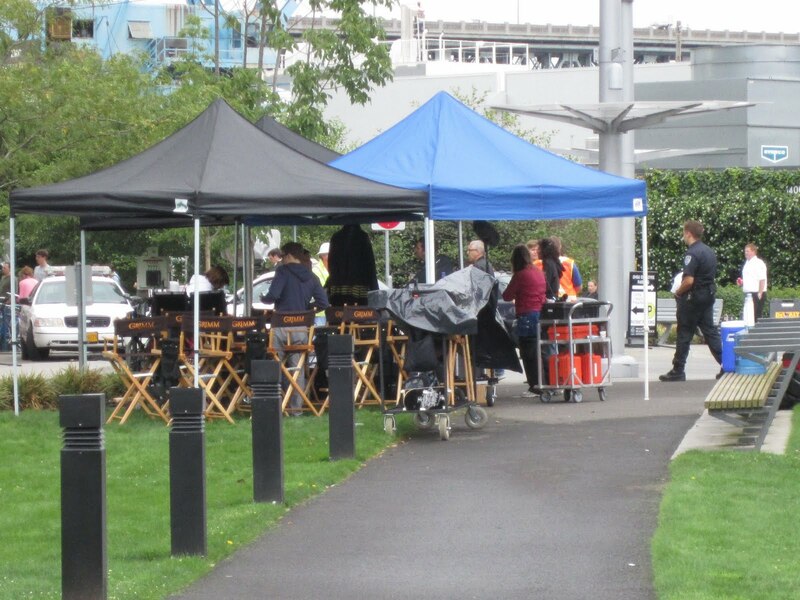 Filming started around 8am and wrapped up around 7pm, when the crew moved down the street to the corner of the park at Gaines & Bond. 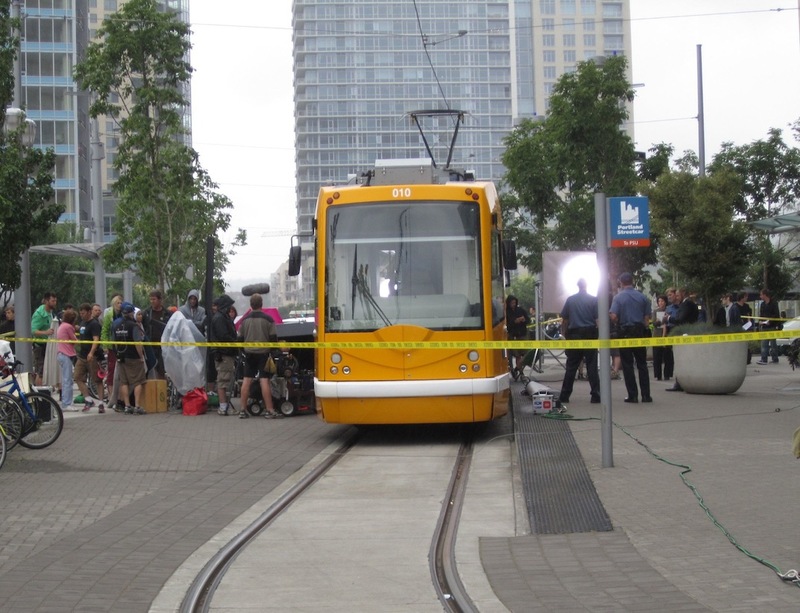 Later in the evening, a second scene involving a streetcar was filmed at the corner of Gaines & Bond streets.